VANDALIA – St. Christopher Church in Vandalia will host a blood drive Monday, July 6 from 3 p.m. to 7 p.m. in the Emmaus Room, 435 East National Road. 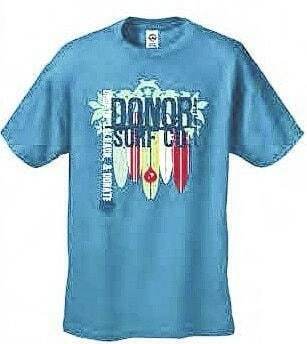 Everyone who registers to donate will receive a free “Donor Surf Co.” surfboard t-shirt and everyone age 18 and older will also be entered in the Community Blood Center (CBC) “Get on Board – Give Blood Summer Blood Drive” drawing to win an expense-paid deluxe Hawaii vacation for two. Donors are encouraged to schedule an appointment online at www.DonorTime.com or call 1-800-388-GIVE. Everyone age 18 and older who registers to donate with CBC from May 4 through Aug. 28 will be automatically entered in the “Get on Board – Give Blood Summer Blood Drive” drawing. REACH magazine is the media sponsor and The Flowerman is the fresh flower sponsor. Eligible donors can enter the drawing a second time when they register for a second donation during the blood drive period. Official rules are available at www.givingblood.org. Maintaining the blood supply can be challenging during the July 4th holiday period and the summer months in general due to vacation travel and other changes in schedules. If you have to miss an appointment, CBC encourages you to reschedule when you are able. We especially encourage the continued support of type O whole blood donors and type A/B platelet and plasma donors.